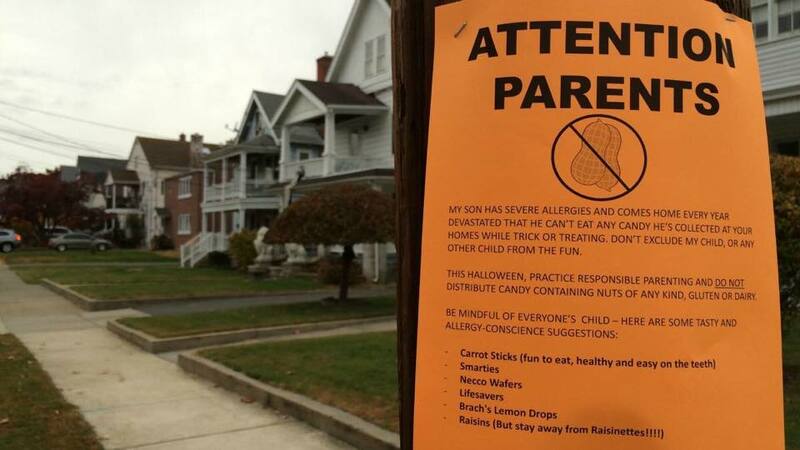 Fliers posted in a Connecticut neighborhood are asking residents to “practice responsible parenting” and not give out candy containing any nuts, gluten or dairy. Yes, carrot sticks, Smarties and raisins just scream “fun,” don’t they? Of course, there is a chance someone put the fliers up as a prank to ridicule those who think the rest of the world should adhere to their own narrow dietary guidelines or those of their children. These days, you can get in almost as much trouble in some places for bringing any sort of nut within 500 feet of a school as a gun, for example. But, if the above is legitimate, one of the “irresponsible” parents of New Britain needs to track down this busybody and tell them to stop trying to ruin Halloween for the rest of the kids in the neighborhood. If Mr./Mrs. Narcissist’s son comes home “devastated” because he can’t eat the candy he’s collected during Trick or Treat, why not simply sort through the items he can’t have and replace it with things he can? Besides, anyone who starts handing out carrot sticks on Halloween is going to probably end up having their house pelted with said vegetables later that night. Reality experience vacations are increasing in popularity, with folks taking time away from the grind to herd cattle at dude ranches, go to sea on fishing boats or spend time working the land on farms. 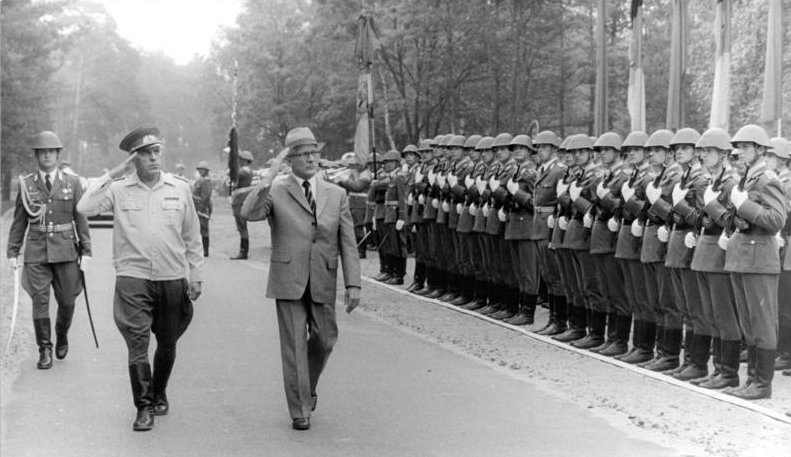 Imagine marching through a forest in central Germany at the command of the Stasi secret police. Once you reach a 1970s-era bunker – concealed by a hut with army tanks camped outside – there is a lot of work to be done. Bunk beds need to be made, women must peel and chop potatoes for dinner and men are made to stand guard and prepare a hearty roast made from local spiced sausages. But wait: Visitors get to wear People’s Army trousers, jackets, belts, caps and gas masks. Yes, that was a delightful time, wasn’t it? I’m sure the 2 million East Germans who poured into West Germany in a 48-hour period after the Berlin Wall came down in 1989 were only doing so to tell their brethren in the west about the utopia that was the German Democratic Republic. No word on whether, in keeping with the reality of East Germany, the hotel has torture cells in the cellar, vacationers must barter with or bribe the staff for goods and services, and every other individual is an informant on the payroll of the Stasi. Also unclear is whether an Erich Honecker lookalike will be running the operation, stationing border guards around the perimeter of the hotel grounds with orders to shoot guests who try to flee before their pre-arranged departure times. 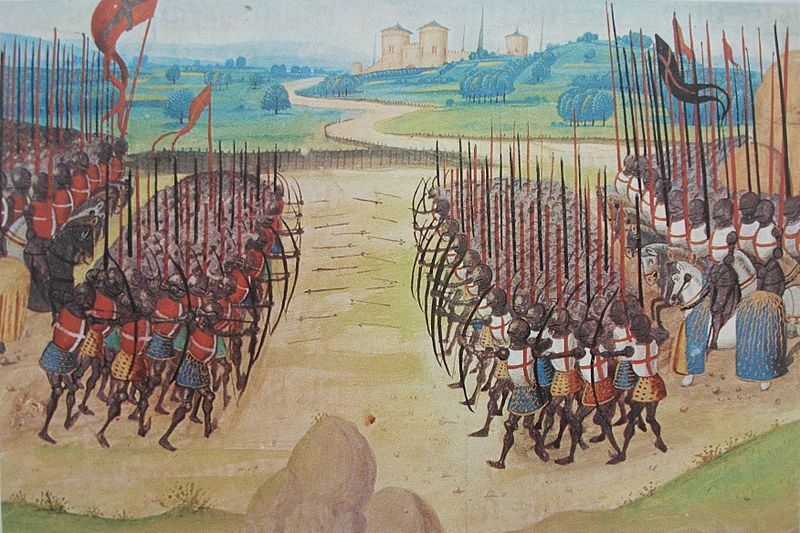 Sunday marked the 600th anniversary of the Battle of Agincourt in which a badly outnumbered English army overcame and routed French forces, ensuring their place in history, thanks in no small part to later generations of (English-speaking) writers and actors. Shakespeare’s Henry V, with the namesake’s St. Crispin’s Day speech, which includes the famous line “We few, we happy few, we band of brothers,” alone guaranteed collective immortality for those English and Welsh who, outnumbered by an estimated six-to-one, cut down the flower of French nobility in one of the great battles of the Hundred Years’ War. Legend says Agincourt was won by arrows. It was not. It was won by men using lead-weighted hammers, poleaxes, mauls and falcon-beaks, the ghastly paraphernalia of medieval hand-to-hand fighting. It was fought on a field knee-deep in mud, and it was more of a massacre than a battle. Olivier’s famous film shows French knights charging on horseback, but very few men were mounted. The French came on foot, and the battle was reduced to men battering other armoured men with hammers, maces and axes. A sword would not penetrate armour and did not have the weight to knock a man off his feet, but a poleaxe would fell him fast and then it was a simple enough job to raise the victim’s visor and slide a knife through an eye. That was how hundreds of men died; their last sight on earth a dagger’s point. It is not a tale of chivalry, but rather of armoured men hacking at each other to break limbs and crush skulls. At the battle’s height, when Henry V expected an attack on his rear that never materialised, he ordered the newly captured prisoners killed. They were murdered. Agincourt was filthy, horrible and merciless, and it is still celebrated as a golden moment in England’s history. For all its fame, Agincourt’s effect was short-lived. Seven years after the battle, Henry V was dead. Seven years after his death, the French, inspired in part by Joan of Arc, broke the siege of Orleans, which began to turn the tide against the English. The final battle of the war, a French victory, took place in 1453, and left the English with little in the way of Continental possessions beyond the port city of Calais. When it was all said and done, France was in the process of being transformed from a feudal monarchy to a centralized state, while England found its coffers depleted, the war having forced the crown to tax its citizens obscenely to fund the conflict, begun in the 1330s, and thousands of Englishmen were dead. Yet, Agincourt has remained a rallying cry for English leaders, soldiers and citizens for six centuries and will likely remain so for at least as long, if not much longer. Such are the whims of history. 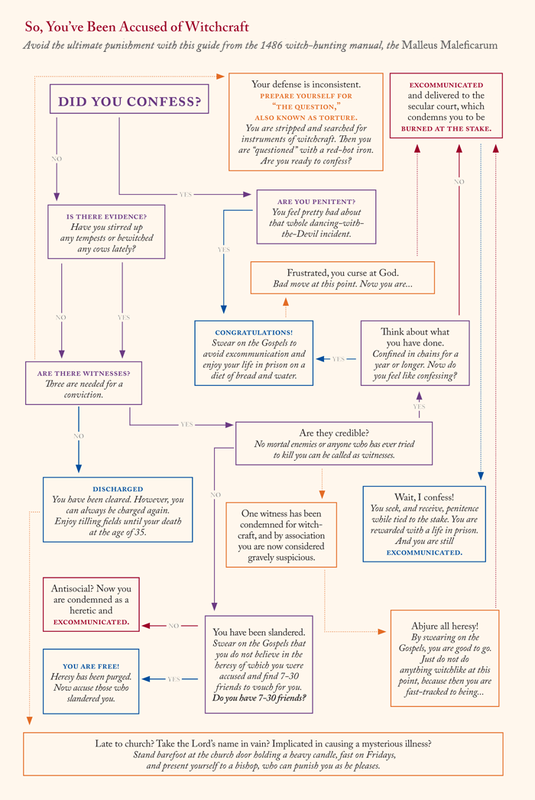 Above is a flow chart detailing the precarious path for those accused of witchcraft, as outlined in the Malleus Maleficarum. The Malleus Maleficarum, translated into English as “Hammer of the Witches,” is treatise on the prosecution of witches written in 1486 by Heinrich Kramer, a German Catholic clergyman. Interestingly, just three years the publication of Malleus Maleficarum, the Catholic Church condemned it as false. A half century later the Spanish Inquisition cautioned its members not to believe everything written in the Malleus Maleficarum, even when it presented apparently firm evidence, according to the 2002 work, Witchcraft and Magic in Europe, Volume 3: The Middle Ages. While Kramer was described by some contemporaries as eccentric and a “senile old man,” personal experience leads me to believe that the above process has been adapted by more than one US company as a means of conducting performance reviews. A 155-year-old structure located in rural South Carolina embodies the conflicted racial legacy evident in South Carolina and possibly other parts of the South, if not the nation. The Jacob Bedenbaugh House, built around 1860, isn’t noteworthy for its age or its architectural style. 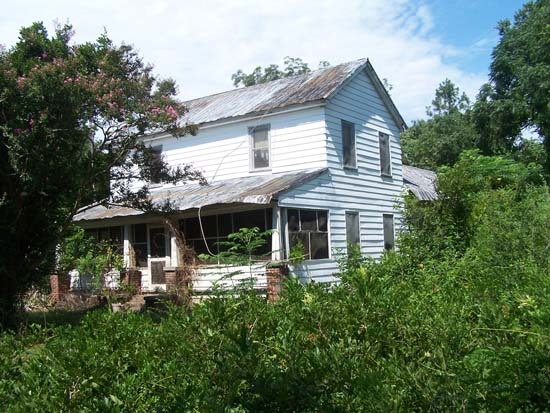 Described as a detached two-story traditional “I” house with a modified L-shaped plan, the dwelling, in serious need of restoration, is located along a country highway about five miles east of Prosperity, SC. What prompted the US Department of the Interior to the place the home on the National Register of Historic Places is the individuals who lived in the structure during its first 55-75 years. Jacob Belton Bedenbaugh was a white South Carolinian born in 1833. His common-law wife Sarah Bedenbaugh, described as mulatto, was initially a slave purchased by Jacob. Sometime between 1860 and 1864, the two entered into a relationship. Despite the increasing difficulties inherent with pursuing an interracial relationship in the Deep South in the years following the Civil War – not that it was a walk in the park during or before – the Bedenbaughs remained together in the house as a couple from at least 1864 until Jacob’s death in 1915 and had eight children. But going against prevailing social mores didn’t come without a price. In July 1890, they were indicted and tried for “fornication” due to the fact that they living together. Being an interracial couple undoubtedly contributed to the decision to prosecute. It’s unclear from a search of the Internet what the outcome of the case was, but one should bear in mind that South Carolina’s political climate was changing rapidly in 1890 as the Conservatives who had come to power in 1877 following the end of Reconstruction were about to be turned out of office by populist Ben Tillman, who was elected later that year, and his supporters. Tillman, a virulent racist, was a leading force behind the state’s 1895 constitution, which solidified Jim Crowism in the state and, among other things, prohibited interracial marriage. Legally, the couple could have married during the war, Reconstruction and immediate-post Reconstruction period, provided they had been able to find a minister willing to perform the service, but the Tillman Constitution forever barred Jacob and Sarah Bedenbaugh from being wedded. Living in a nation in which presidential canvassing is a never-ending cycle where campaigning for the next election begins almost as soon as the last one ends, it’s difficult to pay much heed to the myriad candidates promising an endless array of bread and circuses or, conversely, labeling foes as the antichrist. The media has done much to create this horse race atmosphere, dispatching a multitude of reporters to follow candidates and catch the daily 20-second platitudes of aspiring nominees while real news around the nation and the world goes uncovered. Candidates understand the game and manipulate the media, who play along in order to maintain access. Negative stories appear, but generally unless a candidate has an absolutely astounding number of craptacular skeletons in his or her closet, the media’s not going to scuttle anyone’s campaign. More candidates equal more possibilities which equal more news. And more news means more ad sales, at least for television. So when my daughters or friends ask me who I’m voting for, I tell them it’s early so I haven’t made up my mind. This is true, as our presidential election is still more than a year away. The reality is that I have better things to do than listen to highly coached politicians spout well-rehearsed lines that have been trotted out and approved by focus groups. Sadly, some of the most astute bit of political analysis I’ve come across is the following, which comes from a website called What Would Tyler Durden Do?, a website largely dedicated to mocking celebrities. Although the site rarely strays into politics, and can be more obscene than a Kardashian attempting to read Shakespeare, Tyler Durden has a pragmatic take on the American political system that, while few in power would like to admit, is likely closer to reality than many average US citizens realize. Bernie Sanders supporters are largely more educated than Clinton supporters, but widely less practical. Despite the fact that Sanders college-aged Internet minions flooded the polling sites post-Democratic debate to declare Bernie Sanders the hippy atheist god almighty, every single major media outlet including CNN which ran the debate picked Hillary Clinton as the winner. 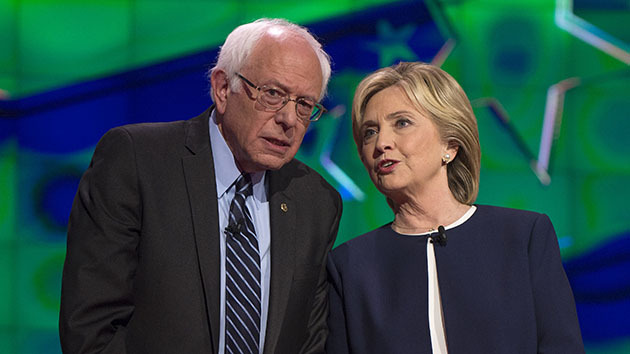 Now Sanders followers are outraged, bemused, and frazzled. The standard emotional state of socialists. I’m reluctantly forced to admire young Utopian dreamers. Before you get your first real STD or crappy job to pay the rent or unwanted pregnancy or draft notice or lousy marriage or mortgage or cancer, that is the time to dream of a perfect world. A land where everybody chooses bikes over cars, the homeless are no longer mentally ill alcoholics but misunderstood poets, and the fry guy and the McDonald’s CEO both make 40 bucks an hour, 10 after taxes. But politics isn’t about childish dreams. It’s about Mafioso-level bodies in the dumpster realities. CNN is owned by Time Warner Cable. It donates heavily to the Clintons and Bushes for a reason that has nothing to do with the political philosophy you cherish while smoking pot in the quad and discussing Marx. It has to do with access and power and money. Big huge gobs of money in billion-dollar chunks. Let’s see, do we support the socialist who wants to break us up into little bits and force us to compete with public access channels on taxpayer-funded steroids or do we want the hacks who will keep us tight and flush with monopoly cash? Agree or disagree with the above, it possesses more than a little truth. We’re certainly a long way from what the Founding Fathers, imperfect though they may have been, had in mind more than 225 years ago. Amid the picturesque graveyard surrounding Presbyterian Church on Edisto Island in the South Carolina Lowcountry is a marble obelisk blackened with age. It’s a memorial not only to a handful of parishioners who died in one of the 19th centuries worst sea disasters but a reminder of just how dangerous travel by ship was at one time. Eight names appear on the 15-foot marker, including that of Rev. James Joseph Murray, 43; his wife Mary, 38; daughter Elizabeth, 15; and son William, 11, victims of the sinking of the steamship Pulaski on June 14, 1838. In addition to Murray and his family, Margaret Seabrook Mikell, 31; Joseph Edings Seabrook, 15; Sara Ann Edings, 27; and Sarah Josephine Edings, 5, are also listed. They were among approximately 130 individuals who died when the ship, which started from Savannah, Ga., June 13 en route to Baltimore, Md., was rent by a boiler explosion and foundered 30 miles off the North Carolina coast. The death toll was said to have been the greatest suffered to that point by a steam-powered vessel. Murray, Mikell, Edings and Seabrook are common names throughout both the graveyard and the region, and it’s likely the loss of the Pulaski touched most, if not all of the church’s parishioners in one way or another. 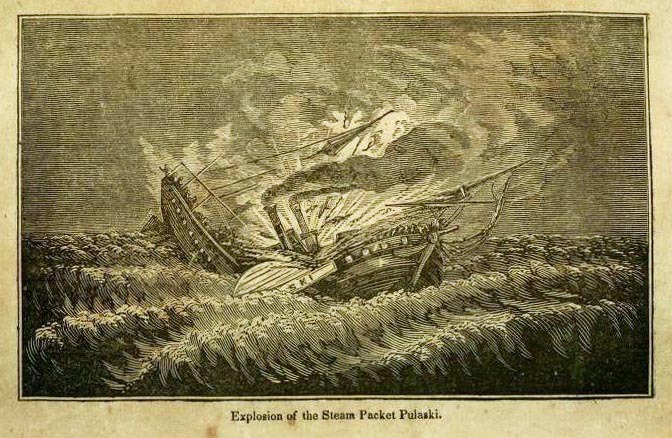 To give an idea of how common major maritime disasters were a century or more ago, the loss of the Pulaski doesn’t even rank among the top 80 deadliest ship disasters of the 19th century. In fact, if one looks at Wikipedia’s list of 19th century maritime disasters ranked by lives lost, the Pulaski isn’t mentioned at all, which leaves one wondering just how many other significant tragedies of that era have been forgotten.